Below you will find an assortment of aviation sites that we find interesting and YOU MIGHT TOO! ENJOY! Pearland Regional Airport (originally called Clover Field) is a privately-owned general aviation airport located in northeast Brazoria County, Texas, less than 20 miles from Houston's central business district. The airport is nestled between Friendswood, Alvin, and Pearland. Redbird Skyport with Dulcinea on the ramp! 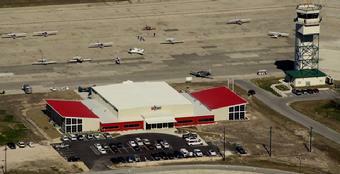 Redbird Skyport is a multi-faceted general aviation services facility, conveniently located at San Marcos Municipal Airport (KHYI) between Austin and San Antonio Texas. Skyport is an aviation laboratory that takes the form of a working FBO, aviation experience center and flight training operation, charged with developing innovative solutions to the issues facing the industry. The North American Trainer Association (NATA) is an independent, non-profit corporation dedicated to the restoration and safe flying of North American Trainers such as the AT-6/SNJ/Harvard, NA-64, NA-50, TB-25, TF-51, AND T-28 aircraft. 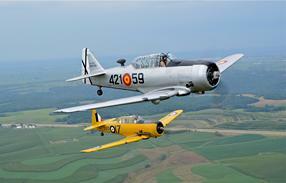 This site has a wealth of articles, manuals, and merchandise for warbird enthusiasts! The National WASP WWII Museum seeks to educate and inspire all generations with the story of the WASP: Women Airforce Service Pilots - the first women to fly American�s military aircraft - women who forever changed the role of women in aviation! Check out the website....it's great! 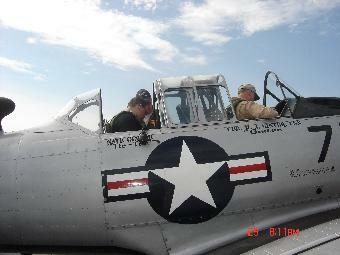 Member Appreciation Day, Raffle Winner, Will Hill, straps in for his first Warbird ride! May 2008. Crazy Horse: A different kind of office! Welcome to Stallion 51, FAA certified and the world's premier P-51 Mustang flight operation. Come take a flight with us and take the controls of the legendary WWII P-51 Mustang! 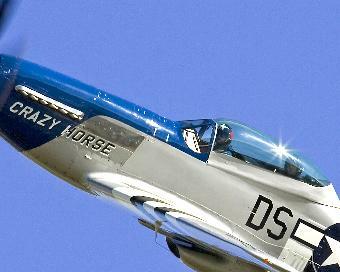 Stallion 51 is also home to CRAZY HORSE and CRAZY HORSE ², the dual-cockpit, dual-control TF-51 Mustangs. This is the “Cadillac” of all warbird training facilities. Nathan received his initial T6 training and followed their course all the way through to getting his P51 type rating with the Stallion folks! Only for those “seriously addicted Warbird fanatics"! The Experimental Aircraft Association's Fly-In Convention, now known as EAA AirVenture Oshkosh, has been in existence nearly as long as the association itself. 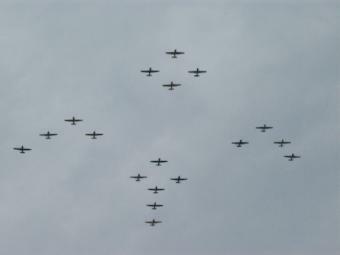 The first gathering was in September 1953 as a small part of the Milwaukee (Wis.) Air Pageant. That original EAA fly-in at Wright-Curtiss (now Timmerman) Field was attended by a handful of airplanes, mostly homebuilt and modified aircraft. Fewer than 100 people registered as visitors. The larger Milwaukee Air Pageant has faded away but the EAA gathering has become one of the world's largest aviation events and the world's largest annual convention of any kind. Warbird Spectacular, 8/1/08, Oshkosh,WI. Nathan is in 4th plane from the left. Don't just settle for watching the video below, FLY with TEXAN FLIGHT at OSH!! Another happy rider! This is actually Nathan's Uncle Dewey. 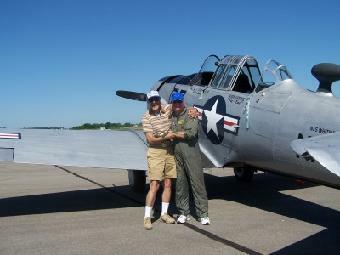 This was his first flight in a Warbird and he loved it! FDL Skyport offers a wide variety of services to our based and transient aviation friends. We are truly a full service FBO. You'll find our facilities impressive and our staff second to none. Next time you need to visit the <?xml:namespace prefix = st1 ns = "urn:schemas-microsoft-com:office:smarttags" />Fox Valley, use the Fond du Lac County Airport. Looking for a home base for your aircraft? You won't find a better or friendlier home, with a large base of private aircraft like yours, an EAA chapter with it's own beautiful facility, and people that share your passion you'll love it here. This is where �77� provided rides. 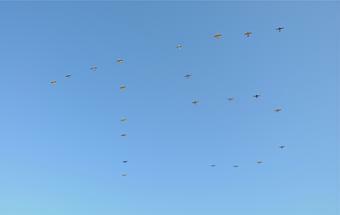 We hope to do this again next summer during the EAA Airventure week.